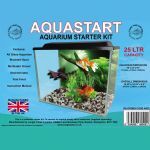 We produce a wide range of Aquarium Starter Kits, from basic kits for the beginner to the experienced fishkeeper. Most designs / styles are available in a wide range of sizes. Our delivery charges are based on most Uk destinations, we can not deliver to Highlands , Cornwall , Ireland or Central London plus a few other outlying areas at these costs, please enquire.